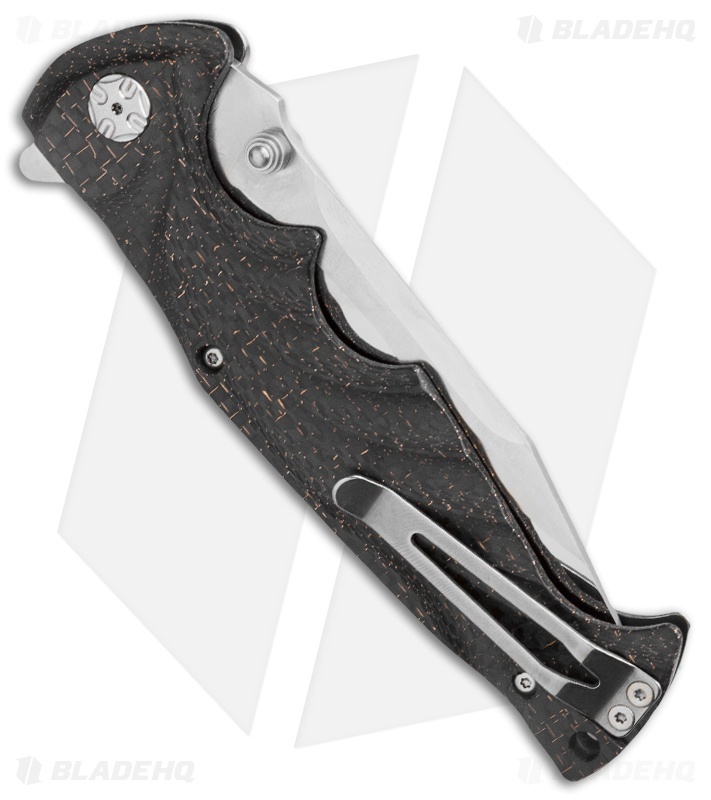 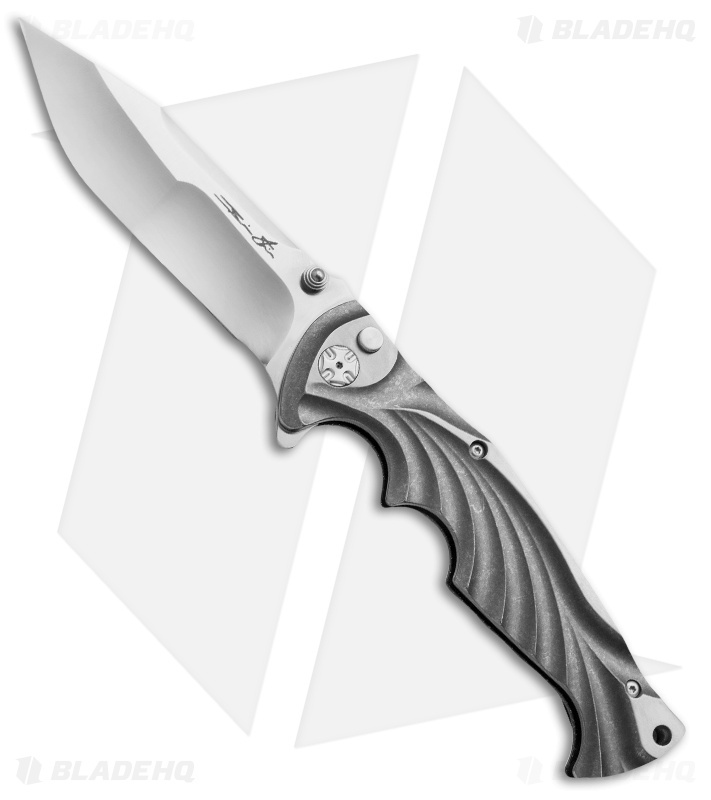 This custom Tighe Breaker folder features a titanium and lightning strike carbon fiber handle with fluted faces and stainless steel pocket clip. The Tighe Breaker has an appealing recurve profile blade with a flipper and thumb studs for one-hand opening. This fine knife is yet another great example of Brian Tighe's fine work.